Discover Van Gogh's life and work as you read, draw and playDiscover the life of Vincent Van Gogh. Let’s travel to the South of France! Immerse yourself in the land of colours.Knock, knock Anybody home?There’s no one in the blue room!Vincent has gone out for a walk.Hurrah! His friend Paul Gauguin is coming to stay.Sunflowers all around he can’t stop painting them!How the sun shines! Has the painter gone mad?Bedroom in Arles, Starry Night, Café Terrace at Night: share a fun moment with your family while discovering Van Gogh's major paintings thanks to this richly illustrated book!ABOUT THE COLLECTION Put yourself in the shoes of an artist or an explorer and learn all there is to know about art and history!Whether it is as a museum guide, a temporary exhibition catalog or a monograph, each book from the "Happy Museum" collection can be read while visiting a museum, an exhibition or simply at home.The concept is entertaining and interactive so that children can learn while having fun! Throughout the pages, you will find some games, observations, thoughts, creations, drawings and art history notions. 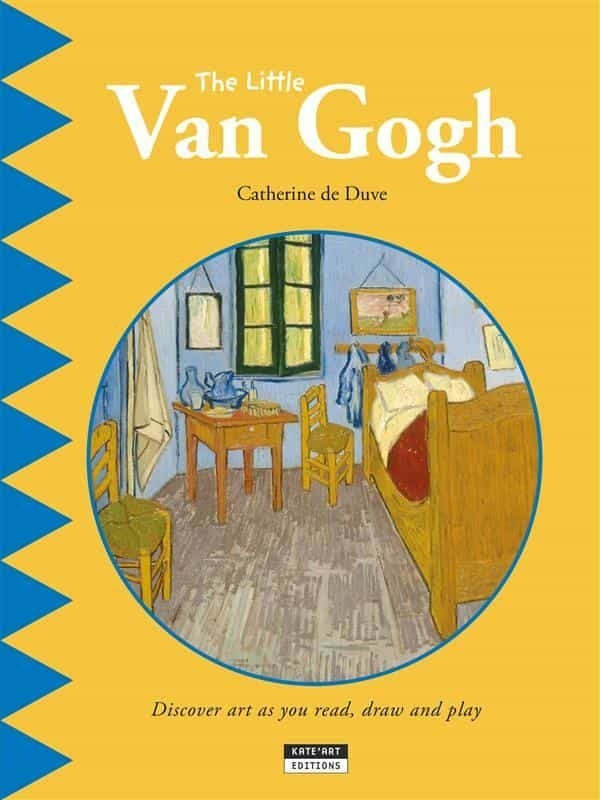 Thanks to this varied and interactive content, children will be able to assimilate technical and theoretical notions like “still life”, “watercolors” and “impressionism”, which are sometimes abstract and difficult to understand.From 4 years old and for the whole family (parents, grandparents and teachers).ABOUT THE AUTHORCatherine de Duve is an art historian and a painter. She worked for the Royal museums of Belgium’s educational services and created teaching workshops at the Brussels Foundation for Architecture.In 2000, she launched her own publishing house with a brand new concept. Advised by the director of MAC (Grand Hornu), she created the international collection “Happy Museum”, dedicated to a young audience.Catherine de Duve is also published by RMN, Hatier and Alice editions, and works with dozens of international museum curators.Thanks to this ebook, the whole family will learn more about:• Postimpressionnism• Van Gogh's life• Van Gogh's masterpieces. Otros ebooks de Catherine de Duve.